The project planning has been divided in two types of Work Packages (WPs): implementation WPs (related to intellectual outputs O1-O4) and transversal WPs (project management, monitoring and evaluation, dissemination and exploitation lasting during the whole life of the project). 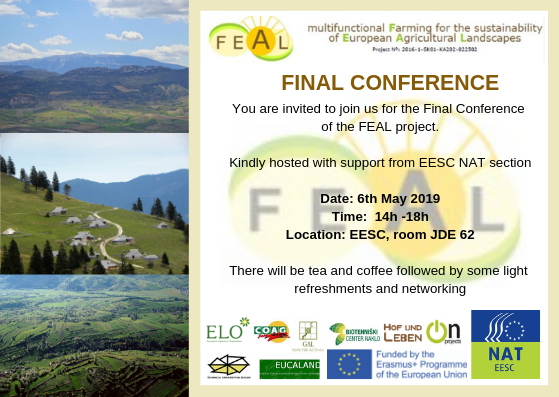 A report about the State of the Art of the relation between multifunctional/sustainable farming practices and EAL. 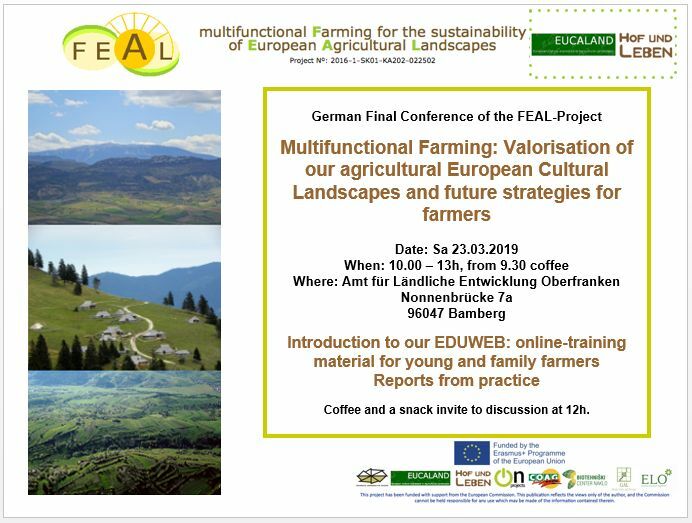 Case Studies show the best practices of multifunctional/sustainable farming over European countries in different landscape types and socio-economic situation. Complementary Open Education Resources (OER) will provide interactive e-atlas of EAL and training modules. A training system gathering the previous output in a digital format compatible with OER repositories and e-learning platforms. It guarantees a totally free access to a wide audience and especially to the project primary target group.